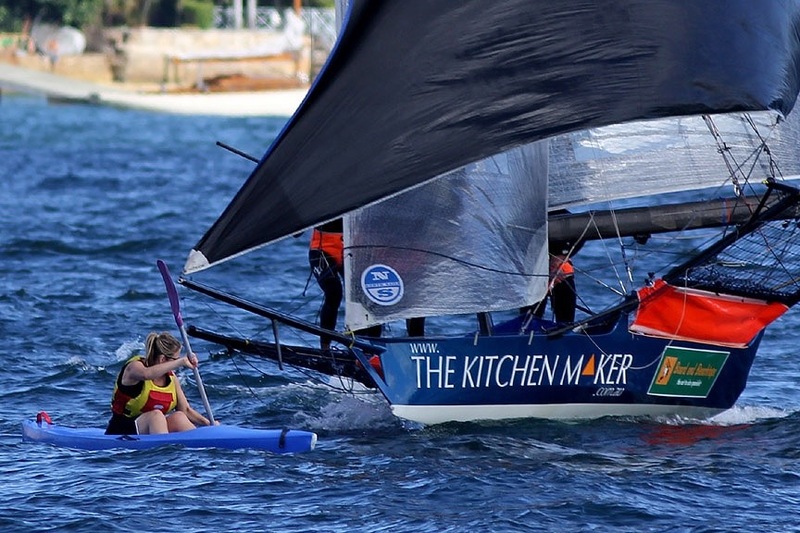 The Kitchen Makers 18 foot skiff crew had a collision with ASKO just before the finish line and had a bit on getting disconnected just before avoiding a slightly worried lady in a kayak. 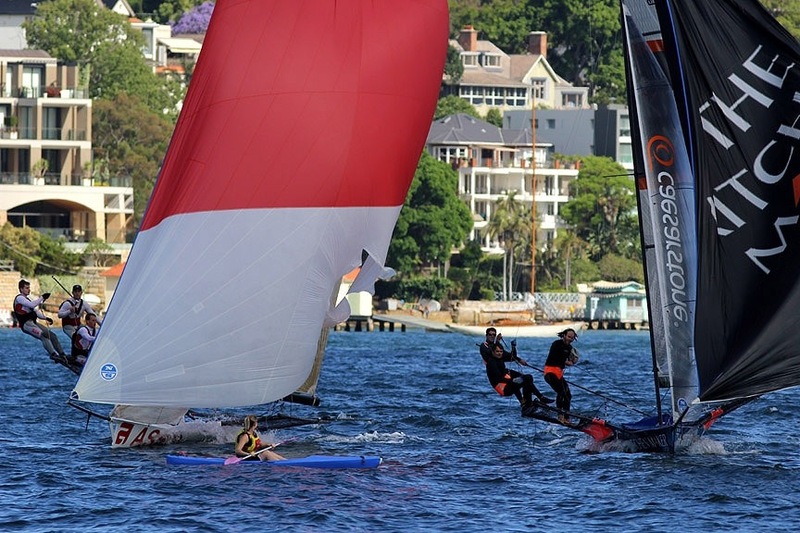 See Frank Quealey’s media release for the first heat of the 18 foot skiff NSW championship. 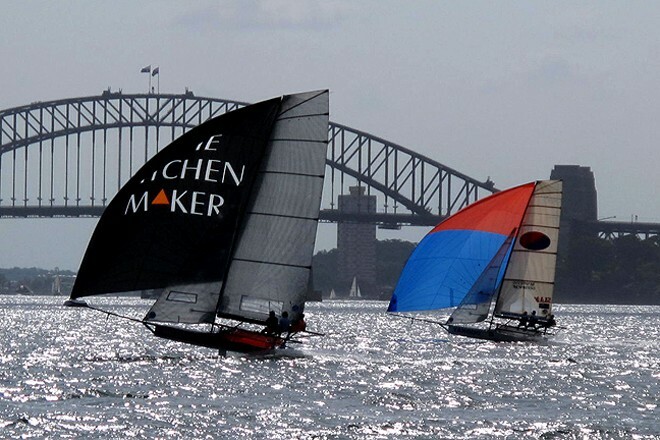 The Kitchen Maker 18 footer team and many other 18 footer sailors rode together to Wollongong helping to raise over $4000 for MS Australia to help people with Multiple Sclerosis. Multiple Sclerosis is a disease of the central nervous system affecting more young adult Australians than any other neurological condition. 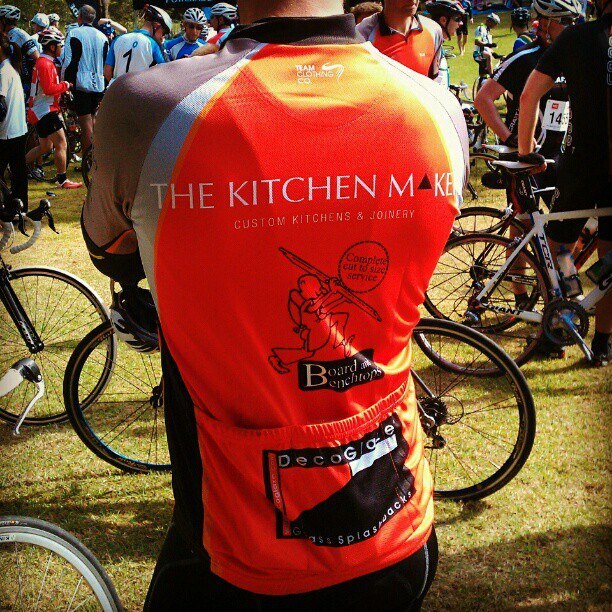 Darren at The Kitchen Maker organised a team of riders for the third year running and together with other sponsors of the The Kitchen Maker 18 foot skiff provided team cycling shirts to the riders. Thanks a lot to all the sponsors who donated money to MS Australia. 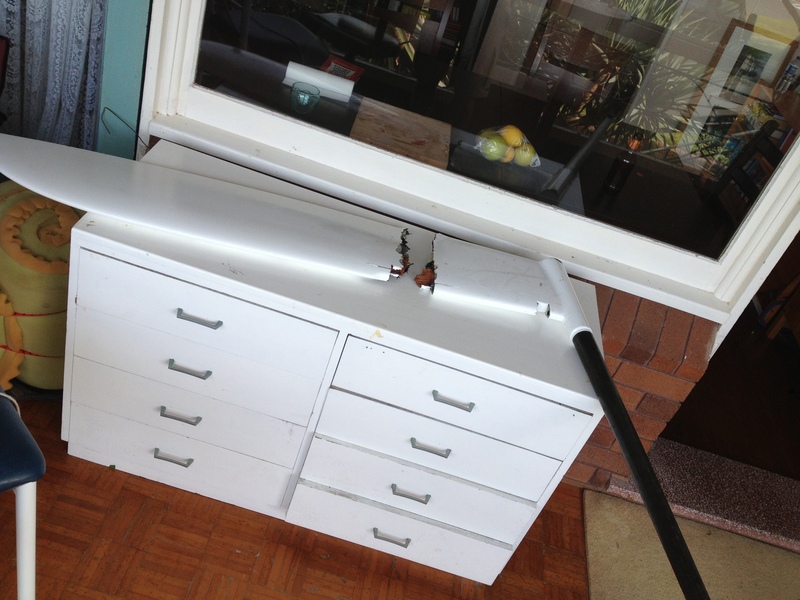 Well done to Katie O’Donnell in attracting so many donations for her ride to the Gong. Then we went sailing. 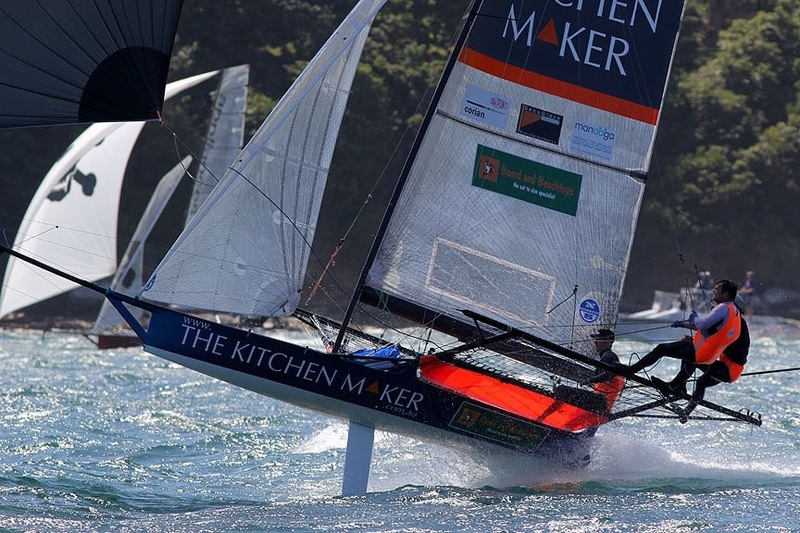 Good first race together for the TKM skiff team. New mast, new sails and new skipper all worked well with the tired crew in nice fresh conditions. Here is Frank Quealey’s 18 skiff race press release. TKM take an early lead around the ‘first’ top mark. Thanks to Frank Quealey for the photo.